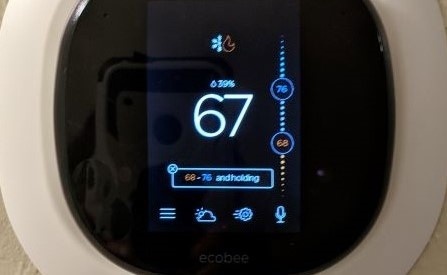 Updated a home with an ecobee thermostat. We decided to go with the ecobee for two reason. One it does not have a monthly subscription. It uses WiFi. We control the features from an app. We can change the temperature, set a vacation mode and even get alerts is something is wrong with the system. Two it came with an extra room sensor. This allowed us to have a more balance temperature in the room which seemed to be a little hotter or colder then the others. It has Alexa, so when we are walking down the hallway we can ask it for the temperature out side, get a laugh by asking Alexa to tell us a joke, it will even play music or give you your schedule. If you just brought a home or thinking about selling an ecobee or other smart thermostats can help change your home into a Smart Home.